A fire has broken out at one of the condominiums in Washington, DC’s iconic Watergate complex, made famous by the 1970s scandal that forced President Richard Nixon to resign from office. The blaze was reported as Washington was captivated in the throes of another political scandal, as President-elect Donald Trump blasted BuzzFeed and CNN over a “fake news” report alleging he had engaged in sexual perversions while visiting Russia. According to the DC Fire Department, the fire broke out inside a vacant apartment on the 13th floor. 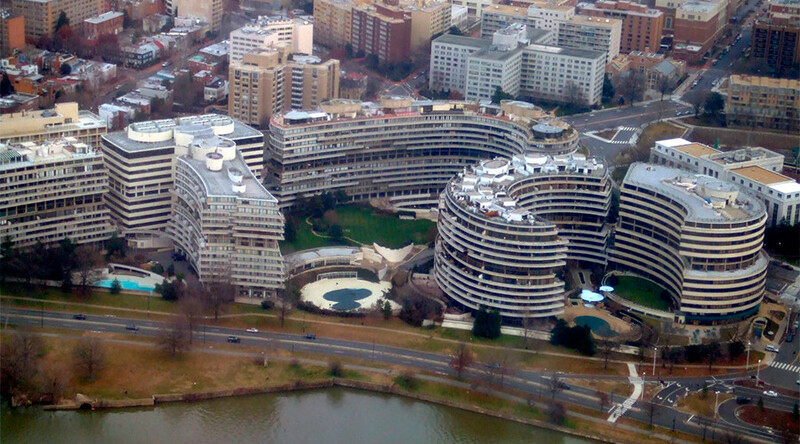 Located in the Foggy Bottom neighborhood of the US capital, Watergate is made up of five distinct-looking buildings overlooking the Potomac River and Rock Creek. Though Nixon was re-elected, the Watergate scandal forced him to resign from office in August 1974, the first and only US president ever to do so.